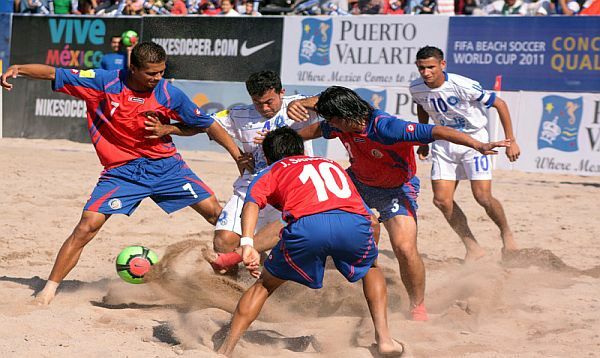 The 2019 Concacaf Beach Soccer Championship games will be held on the IPEJAL grounds, in front of the Agustin Flores Contreras Municipal Stadium in the Puerto Vallarta Hotel Zone, from May 13-19, 2019. Puerto Vallarta, Mexico - The Concacaf Beach Soccer Championship hopefuls know their route to continental glory after the draw for the 2019 tournament took place on Monday, April 8 in Puerto Vallarta. With the tournament's kick-off set for May 13, the 16 countries discovered their upcoming opponents, with them split across four groups. The top two will then qualify for the quarter-finals, with the two eventual finalists rewarded with a place at the FIFA Beach Soccer World Cup Paraguay 2019. The four past winners – Panama, Mexico, USA and El Salvador – were all kept separate, though El Salvador have been served up a re-run of the bronze medal match from two years ago, being paired with Guadeloupe. Panama triumphed in the last edition of the tournament, held in the Bahamas before they hosted the World Cup. Defeating Mexico in the final, Los Canaleros clinched their first title the three-time champions. The United States (two titles) and El Salvador (one) are the other two sides that boast first-place finishes in the competition. Apart from host country Paraguay, the other sides qualified for the Beach Soccer World Cup are Senegal and Nigeria from Africa; Japan, United Arab Emirates and Oman from Asia. They will be joined by ten other sides in Asuncion, Paraguay between Nov. 21 and Dec. 1.